Some who live on the land here have been eating purple sprouting broccoli and digging overwintered carrots and potatoes fresh from the garden since January this year! 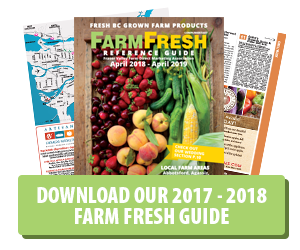 There aren’t many places in Canada where the combination of rich soils and mild climate make it possible to garden 10-12 months of the year, or to produce the diversity of agricultural products offered by commercial growers and members of the Fraser Valley Farm Direct Marketing Association. 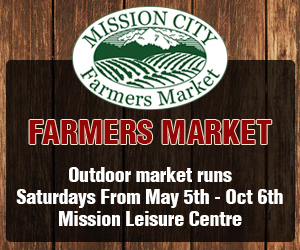 The Fraser Valley generates over a billion dollars of farm gate revenue annually, more than half of the farm gate revenue generated by all of British Columbia agriculture, even though the Fraser Valley comprises less than 3% of B.C.’s agricultural land! That’s an example of how precious the combination of rich soil, mild climate and adjacency to a major population centre really is. And unlike the situation with many large corporate businesses, money generated by local agriculture tends to stay in the local area and contribute directly to the local economy. Despite the above, we still see substantial numbers of parcels of agricultural land in the Fraser Valley that are not being used for productive agriculture and it’s easy to conclude that development of this land in some other way might be okay. We also still see applications to remove productive parcels coming forward to area municipalities. The rate of population growth in the Fraser Valley is among the highest in Canada. While British Columbia’s population is projected to increase by 35% between 2001 and 2031, the projected increase is 65% for the Fraser Valley. The approximately 75,000 ha of ALR land that remains in the Fraser Valley is under intense pressure for development. Fortunately, practical options for accommodating development do exist. Concentrating population growth in towns and cities is an obvious option to suburban sprawl. A regional plan to direct population growth to areas that are attractive places to live but poorly suited to agriculture is another option to safeguard the immense potential for local food production and food security represented by local arable land. Much of the area north of the Fraser River, with its pristine beauty, lakes, streams, forests, hiking and riding trails fits this description. And north of Fraser already has an attractive and effective rapid transit system between Mission and Vancouver for commuters (West Coast Express). Some questions worth thinking about: Is protecting the agricultural potential of the Fraser Valley important to me? How can I become better informed? What would it take for a regional plan that accommodates both population growth and agricultural resources in the Fraser Valley to become a reality? What could I as an individual do to help make this happen?